Looking for a family-friendly SUV with plenty of interior space, advanced technology, and a thrilling performance? We’ve compared two of the most popular SUVs: the 2017 Chevy Traverse and the 2017 Ford Explorer. Read on to see which vehicle provides everything you need for a seamless drive around Merrillville, IN. In this comparison, we’ll be looking at the 2017 Chevy Traverse LT, starting at $36,995 MSRP, and the 2017 Ford Explorer XLT, starting at $36,720 MSRP. We encourage you to take a look at the new vehicle inventory at our Chevy dealership in Merrillville, IN to see available trim packages. 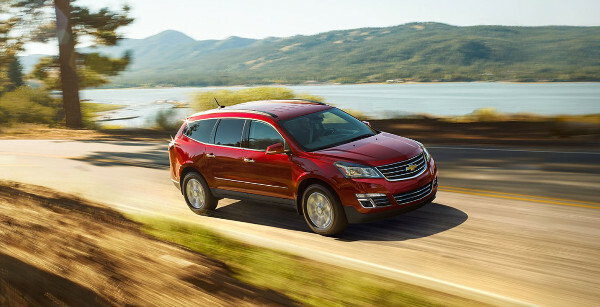 To save big on a new Chevy Traverse, be sure to browse new offers and incentives. In the table below, explore the specifications of the 2017 Traverse and 2017 Explorer to decide which model best suits your performance needs. 22 gal. Fuel Capacity 18.6 gal. 5,200 lbs. Maximum Towing Capacity 5,000 lbs. Style and practicality are equally important to Merrillville, IN area drivers. You’ll find that the 2017 Chevy Traverse offers much more to make every passenger happy. 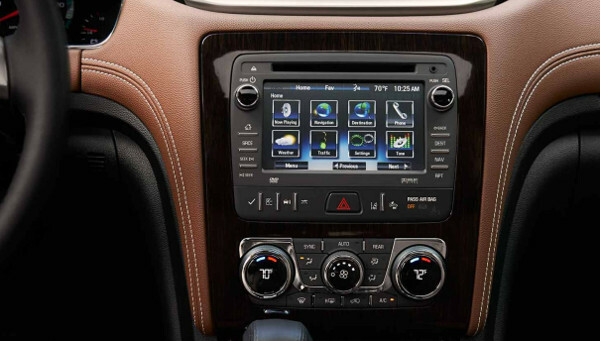 Even the little ones will benefit from the infinitely more advanced tech features that come with the Chevy Traverse, features that the Ford Explorer doesn’t offer. 2017 Chevrolet Traverse at Mike Anderson of Merrillville! Schedule a 2017 Traverse test drive at our Chevy dealership in Merrillville, IN today! For more information, send us a message online or call 219-947-4151 to speak with a product specialist directly.